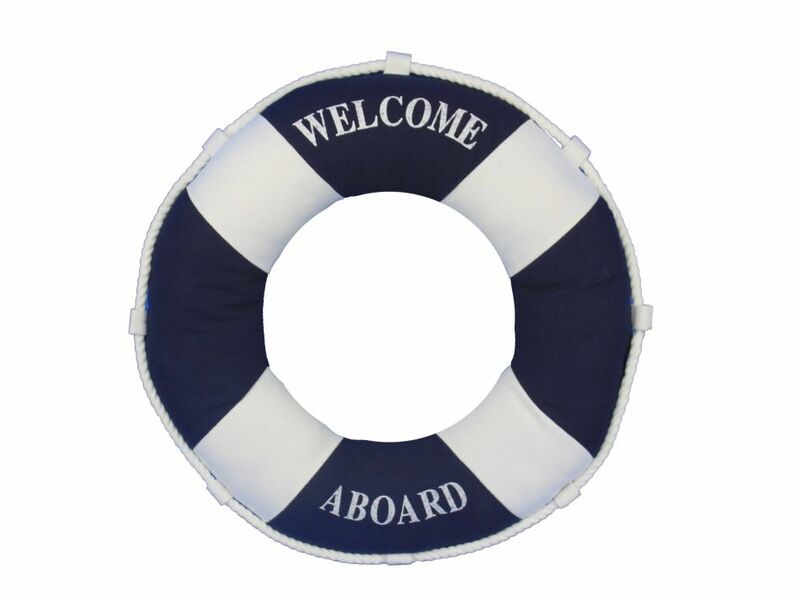 Blue Welcome Aboard Decorative Life Ring Pillow 14"
This charming Blue Welcome Aboard Pillow 14" combines the atmosphere of beach decor along with a life ring as a beach throw pillow. This beach pillow is the perfect accent to spruce up your beach home. Place this lifering pillow in your beach living room to show guests your affinity for beach decor. Pillow clearly displays the words "Welcome Aboard"